We spend 5 hours a day every day in front of smart screens. Working with computers, consuming culture, news, but mostly consuming the blue light. The blue light is a dangerous artificial source of light that's coming out of different screens and harms the eyes. and prevents a huge sight damage. The obstuction isn't achieved by an external coating, unlike other lens. The blue light is blocked inside the raw material, which the len is created from, so the obstruction is guaranteed. The UV is getting blocked within wave lengths of 380 and 420 so the eye stays safe and healthy. Go look for the original warranty certificate. Brand new and unique raw material which gives your eyes full and efficient protection. Monofocal and multifocal and more. 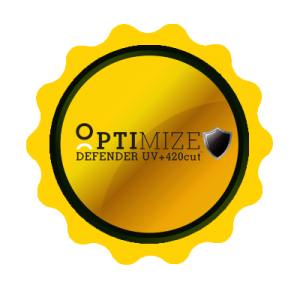 Defender blocks the UV ranges which harm the retina. diseases long-term and is comfortable to sleep with. Defender improves the quality of the experience and relaxes the eye. The Defender len prevents any kind of dirt. It’s transparent and easy to wipe. Uncompetitve product quality and top service by international stadards, all the way from production stage to costumer delivery. Crystal-Optica Industries is one of the biggest and most headlining factories in Israel, creating unlimited, top-quality, advanced technolgy products. Crystal-Optica Industries is an international company. As of today, Crystal lens are available in many countries in the world.